In today's reading, we will learn that Solomon addresses the need for children to obey their parents (vs. 20-23). Proverbs 6:20-23 addresses the importance of obedience and respect to parental direction. "My son, keep thy father's commandment, and forsake not the law of thy mother: 21 Bind them continually upon thine heart, and tie them about thy neck. 22 When thou goest, it shall lead thee; when thou sleepest, it shall keep thee; and when thou awakest, it shall talk with thee. 23 For the commandment is a lamp; and the law is light; and reproofs of instruction are the way of life." Verse 20 - Solomon implores his son to obey the instruction of both father and mother. Disobedience in the life of a child should not be tolerated. This certainly places a heavy responsibility upon parents to give wise instruction to their children and to also walk in accordance with the very instruction that is given. We can't expect children to obey when their parents live contrary to the very instructions they are attempting to pass on to their children. The adage, "Do as I say, not as I do," really is foolish and isn't effective. Heeding the instruction of parents should bring a lifetime of benefits. Once a child becomes a young adult and is living on their own, many sinful enticements are possible. Remembering what mom and dad have taught can be very helpful. Verse 21 - The idea of binding parental instructions continually upon the heart, and tying them around the neck, provides a constant reminder of the value of the instruction of our parents, and the importance of totally assimilating their instruction into our heart. 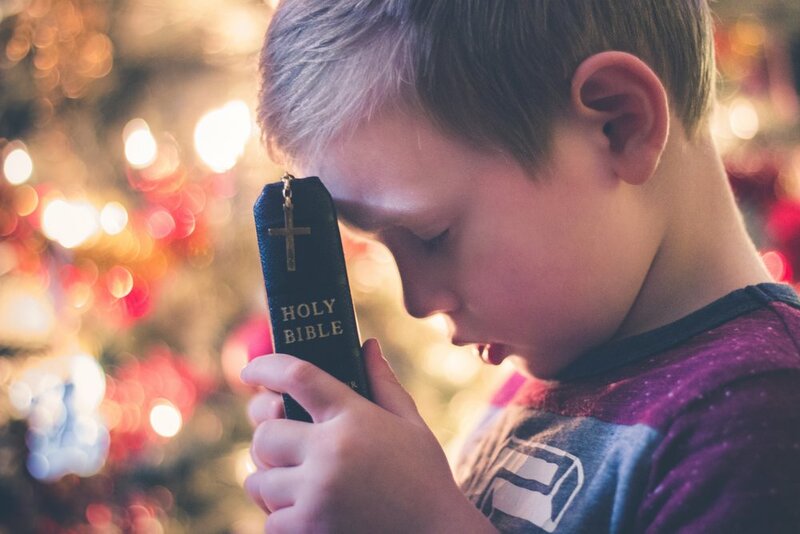 Children need to grow up embracing godly convictions taught them by their parents. Verse 22 - This verse points out the great benefits of heeding this instruction. It will guide us as we journey, it will protect us as we sleep, and it will instruct us day by day. Verse 23 - The Word of God is a bright light for life. Psalm 119:105 states, "Thy word is a lamp unto my feet, and a light unto my path." Psalm 19:8 says, "...the commandment of the LORD is pure, enlightening the eyes." The Word of God is the source book which provides parents with the ability to correctly instruct and guide their children. Each one of us would do well to realize, "...reproofs of instruction are the way of life." (vs. 23) Reproofs of life are the corrections which come from those who are over us (parents, teachers, pastors, employers, etc.). We need to possess enough humility to be corrected. May God challenge every parent regarding the magnitude of their responsibility to instruct, and may children accept the challenge to obey the instructions of their parents. Ephesians 6:1-4, "Children, obey your parents in the Lord: for this is right. 2 Honour thy father and mother; (which is the first commandment with promise;) 3That it may be well with thee, and thou mayest live long on the earth. 4 And, ye fathers, provoke not your children to wrath: but bring them up in the nurture and admonition of the Lord." May you be blessed as you meditate upon these words. Also, make sure to worship with those of like faith in your local church this weekend. God bless!